Lee-Hankey grew up and studied in Chester and was a painter of post impressionist landscapes, figure scenes and harbour subjects. During the 20's and 30's he painted in France where he had a house in Le Touquet and a studio in Etaples. 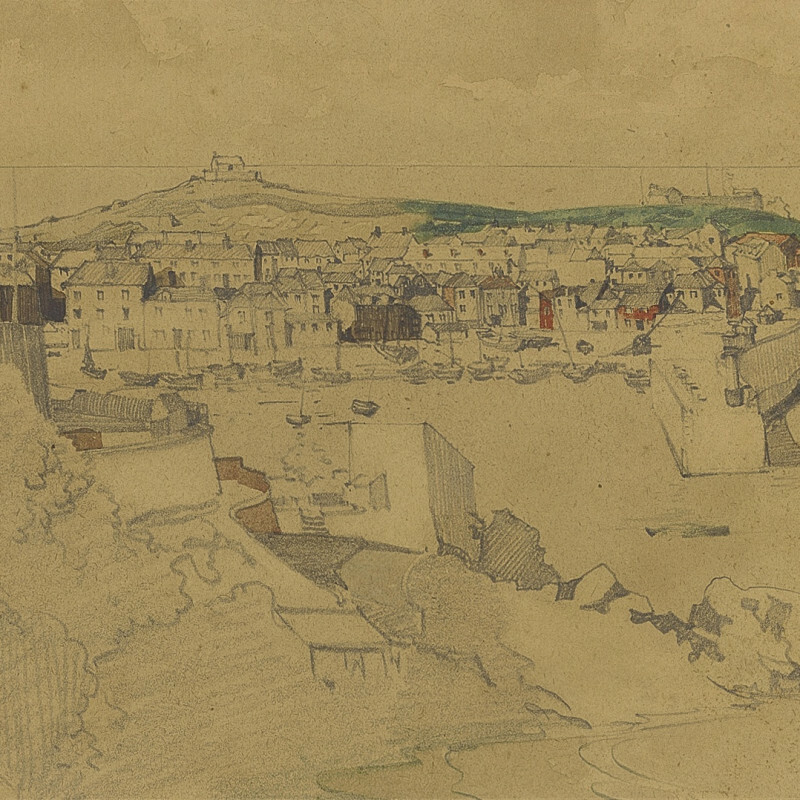 This drawing of St Ives harbour was probably made during his attachment to the Newlyn School, a group of artists practising in the small fishing village of Newlyn near Penzance at the end of the 19th Century and early 20th Century.